My Sweet and Savory Goat Cheese Log is a quick and easy holiday appetizer. When I say this appetizer is quick and easy I mean it. I made this in less than 10 minutes, but it doesn't look or taste like a 10 minute appetizer. I love that it's so festive with the green scallions and the reddish craisins. I also love that it's peppery so it has a nice little spice kick too. This is a perfect holiday appetizer to take to any gathering. I know the weeks from Thanksgiving to New Year's Day are filled with holiday parties from home to work. My husband had a holiday party at work so this fun little appetizer was one of the dishes I made for him to take to enjoy with his co-workers. 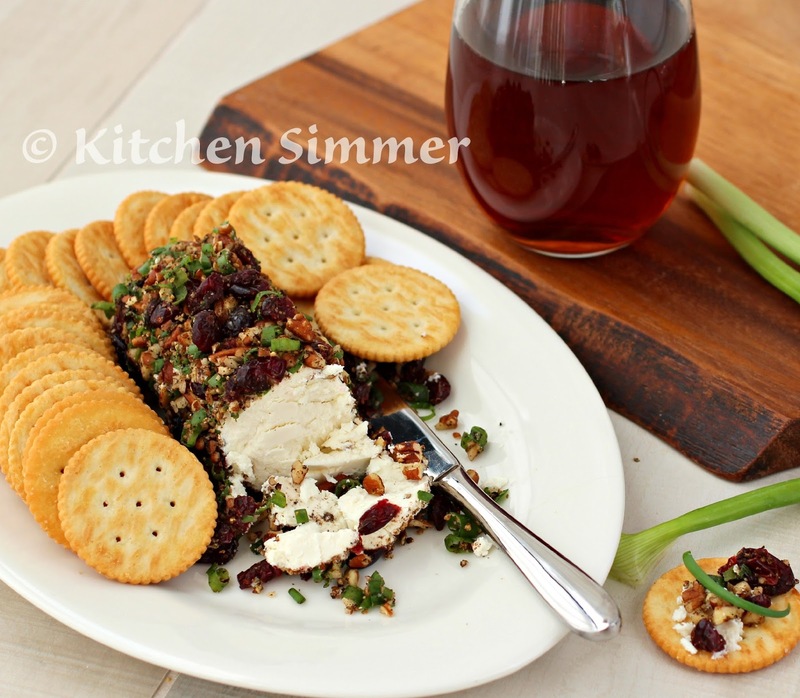 You simply gather the scallions, craisins (dried cranberries), toasted pecans and black pepper and roll the goat cheese right into it then serve it with your favorite crackers. 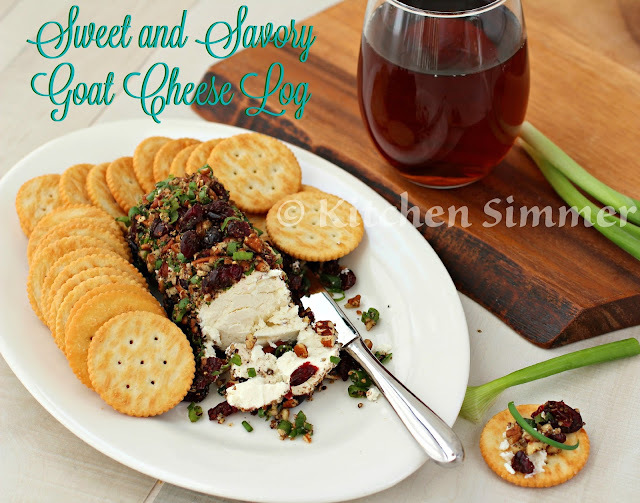 I hope you try this festive and easy Sweet and Savory Goat Cheese Log Appetizer this holiday season. Step 1: Lightly toast pecans in a pan for less than a minute (do not burn). 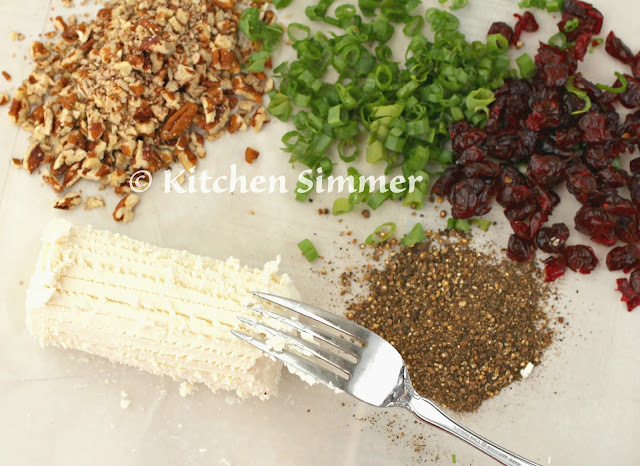 Step 5: Mix all the topping ingredients together and roll the goat cheese log in it. Step 6: Serve immediately or roll in plastic wrap tightly and refrigerate. Step 7: Serve with crackers. Enjoy. 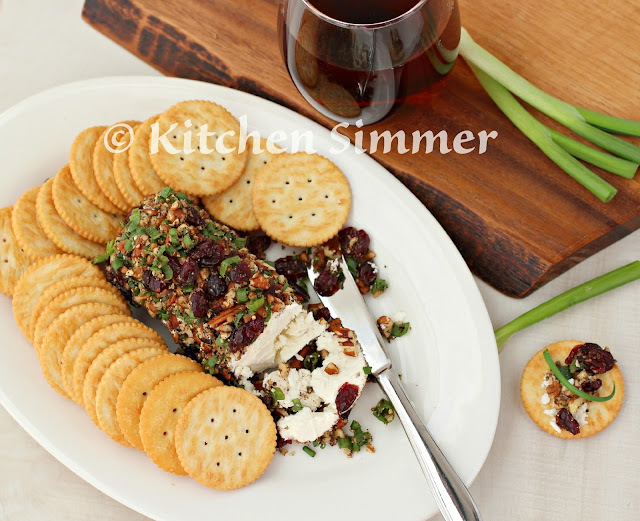 What a great appetizer recipe to have on hand for last minute guests this time of year! Dear Ramona, I love this pretty and easy app. We had a cranberry crusted goat cheese log over Thanksgiving. Thankfully only my sister and I like goat cheese. More for us! I love your sweet and savory recipe and will definitely be trying this over the holidays! Love this idea as an easy appetizer! Thank you! Love the yin and yang of this recipe. I'll bet this is awesome! 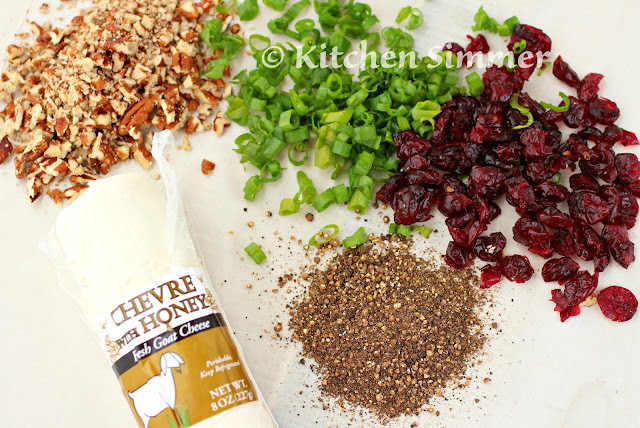 I've only had goat cheese a few times but would love to try this it looks yummy!